Christmas has come and gone. 2012 is drawing to a close, and 2013 is just around the corner. And, as usual, the holiday season is a sports extravaganza. The Week That Was: It's still early in the college basketball season and the best bowl games are yet to come. So, pro sports led the way this past week. NFL: Week 16 is in the books. In the AFC, the playoff picture is pretty well set. New England clinched their fourth straight AFC East title way back on December 2. The Denver Broncos also clinched the AFC West that same day. The Houston Texans clinched the AFC South on December 16 with a win at home over the surprising Indianapolis Colts. The Ravens were the last team in the AFC to clinch their division. Baltimore clinched the AFC North by hammering the Super Bowl champion New York Giants on Sunday by a score of 33-14. That loss eliminated the Giants from any chance of winning the NFC East. Both AFC wild card berths were also locked up this Sunday. Despite losing to the Texans the week before, the Colts locked up a wild card spot this weekend by defeating the Kansas City Chiefs. That left one wild card spot for either the Pittsburgh Steelers or the Cincinnati BengaRls. Those two teams played each other this weekend in Pittsburgh. With less than a minute to go in the game, the score was tied 10-10. The Steelers had the ball in their own half of the field. And, for the second week in a row, Ben Roethlisberger threw a critical, late-game interception. 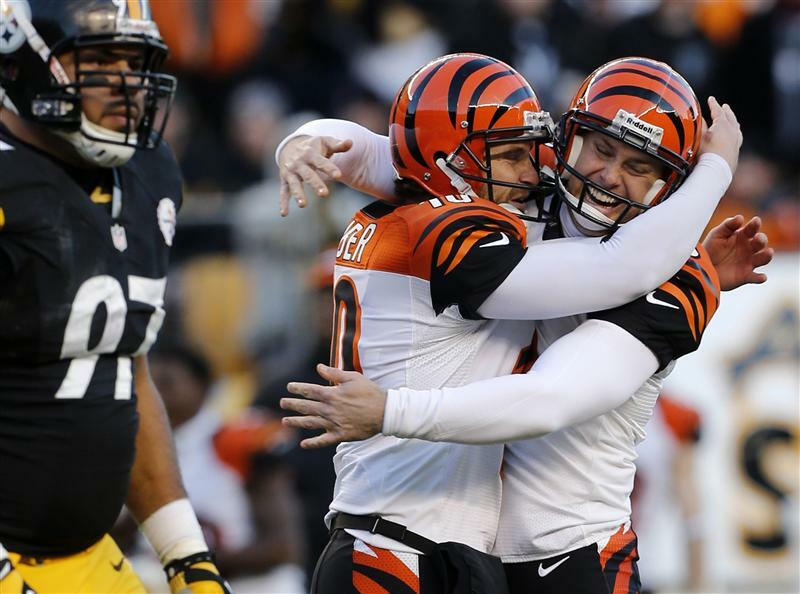 The Bengals then threw one pass to move the ball into field goal range and kicked a last-second field goal to win the game 13-10. In the NFC, things are a little more unsettled. After beating the Lions 31-18 on Saturday night, the Falcons clinched the NFC South and home field advantage throughout the playoffs with a record of 13-2. The Green Bay Packers clinched the NFC North on December 16 with a 21-13 victory over the Bears. The remaining two divisions are yet to be decided. 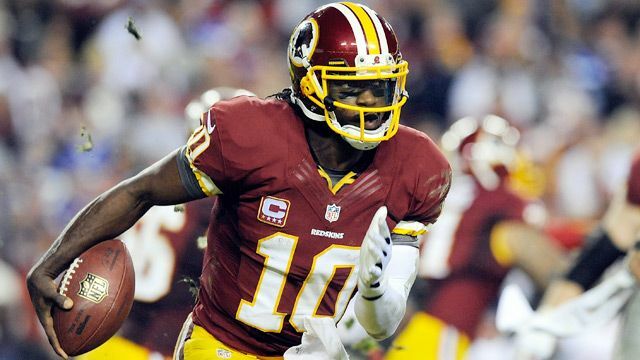 In the NFC East, both the Giants and the Cowboys lost this weekend while the Redskins won. That left the 9-6 Redskins in sole possession of first place in the division. The Giants loss put their playoff hopes in dire straits. However, the Cowboys still control their own destiny since they play the Redskins in the final game of the year. The top two teams in the NFC West faced off against each other on Sunday night when the San Francisco 49ers traveled to Seattle to play the Seahawks. The Seahawks proved that they can roll up the points even against one of the league's best defenses as they romped over the Niners by a score of 42-13. Both the Niners and the Seahawks have already clinched playoff berths, but that win brought the Seahawks within a half game of the Niners for the top spot in the division. 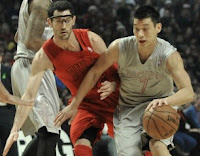 NBA: Last year, due to a lockout, the NBA season began on Christmas day. This year, the season got started back in the fall, but many people look at Christmas as the real start of the season. The NBA took advantage of having the sports stage to themselves and gave us an impressive slate of games. The most anticipated matchup of the day was a rematch of last year's NBA Finals between the Miami Heat and the Oklahoma City Thunder. Once again, it was the Heat who came out on top with a 103-97 victory on their home floor. Out on the west coast, the Lakers welcomed Steve Nash back to the lineup and beat the red-hot New York Knicks by a score of 100-94. Perhaps the most surprising score of the day was in Chicago. Jeremy Lin took his Houston Rockets to the Windy City and trounced the Bulls 120-97. 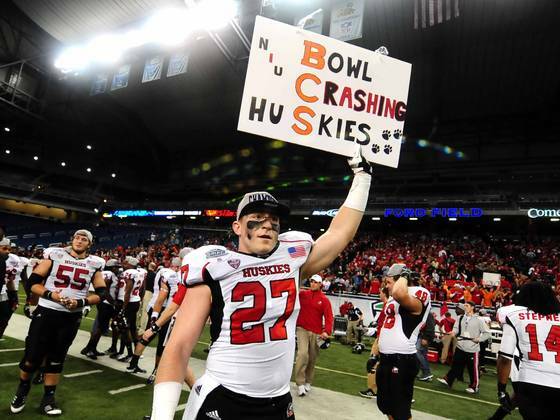 The Week Ahead: The marquis college bowl games are finally coming in the week ahead. But first, the NFL wraps up its regular season. NFL: We shall start this week's preview in the AFC where things are pretty simple. All the playoff berths are clinched. It's just seeding and home field that are left to be decided in the last week of the season. If the Houston Texans beat the Indianapolis Colts, then the Texans will be the #1 seed and the road to the Super Bowl will run through Houston. That game also has extra importance because it will also mark the return of Colts' head coach Chuck Pagano after his season-long battle with cancer. That game will air on CBS at 1:00 p.m. EST. If the Denver Broncos win their game against Kansas City then they will clinch a first round bye. That game will air on CBS at 4:25 EST. The New England Patriots also still have a chance to grab home field throughout the playoffs if they beat the Dolphins. But that can only happen if the Broncos and the Texans both lose. That game will be shown on CBS at 4:25 EST. In the NFC, there are many important games. Unlike the AFC, it's not just the seeds that will be settled this weekend. Several of the playoff berths themselves are still up for grabs. As it stands right now, Atlanta and Green Bay have both clinched their divisions. Either the Niners or the Seahawks will win the NFC West, and the other will clinch a wild card berth. The Minnesota Vikings cannot win their division, but they have the inside track to the second wild card slot. The Vikings will host the Packers on Sunday. If the Vikings win then they are in the playoffs. If the Vikings lose, they are not automatically eliminated, but they would need a complicated combination of other things to fall into place. The Vikings and the Packers will be shown on FOX at 4:25 p.m. EST. Since that game is late in the day, both the Giants and the Bears can keep their playoff hopes alive by winning in their 1:00 p.m. games. The Giants will host the Eagles. The Bears will visit the Lions. Both games will air on FOX. But the biggest game of the weekend will be the last game of the regular season when the Dallas Cowboys travel to the nation's capital to play the Washington Redskins. The winner of the game wins the NFC East and will host a first round playoff game. If the Cowboys lose, they are eliminated. The same is likely true for the Redskins. NBC used their flex scheduling privileges to move this game into primetime on Sunday night at 8:20 p.m. EST. College Football: Bowl games have already been underway for about two weeks. New Years Day will mark the start of the BCS bowls. But before that, there are two games that stand out from the rest of the pre-New Years schedule. On Saturday, December 29, #23 Texas will play #13 Oregon State in San Antonio at the Valero Alamo Bowl. This game features a match-up between the Big 12 and the PAC-12. That game will air on ESPN at 6:45 p.m. EST. On New Years Eve, #8 LSU will play #13 Clemson in Atlanta in the Chick-Fil-A Bowl. The ACC did not have a lot to brag about as a conference this season. This matchup will go a long way toward measuring the true difference in depth between the ACC and the SEC. That game will be shown on ESPN at 7:30 p.m. EST. On New Years Day, six bowl games will be played. The Rose Bowl will be the first of the BCS games on that day. In that game, the Wisconsin Badgers will represent the Big 10, and #6 Stanford will represent the PAC-12. Wisconsin reached the game by virtue of winning the Big 10 Championship game against Nebraska. However, Wisconsin was only in that championship game because Ohio State and Penn State were not eligible for post season play. As a result, Stanford is a significant favorite in the game. The Rose Bowl will be shown on ESPN at 5:00 p.m. EST. The final game of the day is the game that intrigues me the most of all the bowls besides the National Championship Game. #12 Florida State will play #15 Northern Illinois in the Fed-Ex Orange Bowl. Florida State comes into the game with a record of 11-2. The Seminoles earned a BCS berth as the champion of the beleaguered ACC. The Northern Illinois Huskies have a record of 12-1 and are the MAC champions. The MAC is not an automatic qualifier. In order to maintain any pride through the offseason, the ACC really needs Florida State to flex its muscles on the national stage in the Orange Bowl. This game will be played at 8:30 p.m. EST and will be shown on ESPN. After New Years Day, there will be six more bowl games left to be played, including the Sugar Bowl, the Fiesta Bowl and the BCS National Championship game. 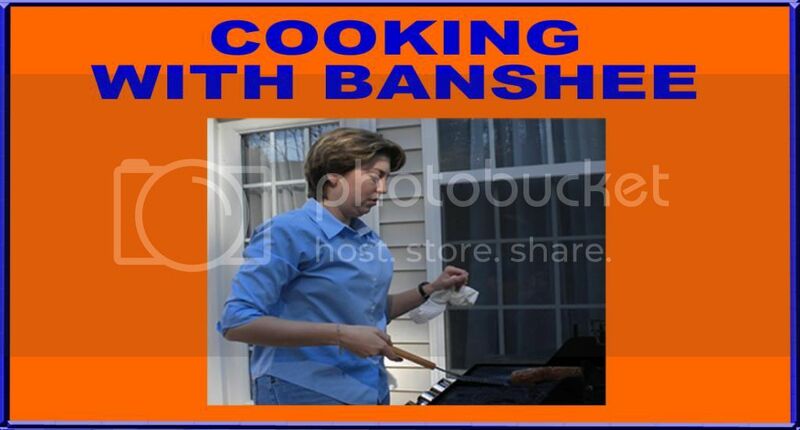 Hopefully, Banshee Sports will be publishing a midweek, college football update to get you ready for those games.